This guide is aimed at small businesses with little to no experience in SEO and requires very little technical ability to implement. This section appears above the Organic Search results and can be a very lucrative source of new customers! 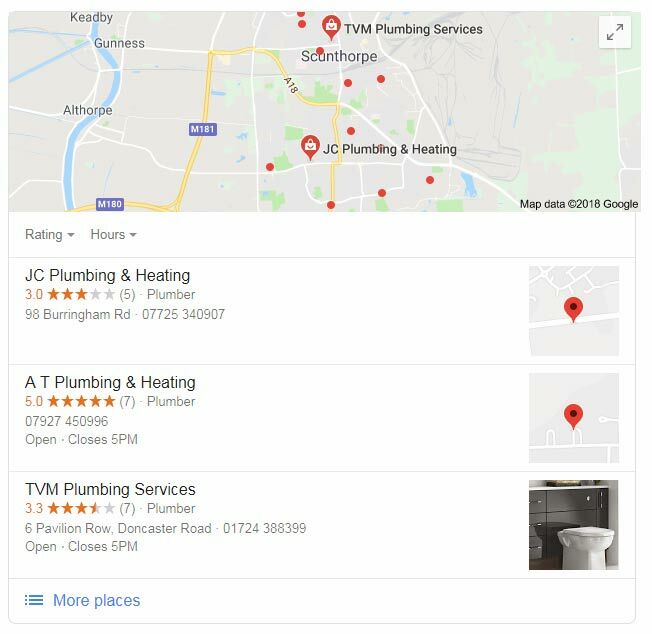 To get your business listed you first need to setup a Google My Business page. It’s straight forward to get setup. First pick your industry and fill in your basic contact details. Make sure the information you enter is consistent with what’s displayed on your website. So your Name, Address and Phone number line up across profiles. Ask your customers to leave you an honest review, reviews are a very important factor in how highly you rank. Create local business citations on business directories. A good example of a local business directory is Yell, where you can list your NAP. Local citations do not need to include a link to your website. How can I discover local citation opportunities? We’ve put together a list of general directories you should consider using at the end of this page. Another effective method is to check what your competition is doing. To do this Google search your competitions name and their postcode. For example to research our local citations you would search “Loud Digital HU17 0LS”. Then setup your own optimised profiles on the same websites. Recap: how do I get the top spot in Google Maps? This strategy doesn’t apply to obscure or rare industries that don’t display Google Map listings. If you are in an obscure industry then you would be better of investing your time in general SEO by answering local search queries better than anyone else, we’ve got a guide that helps you do exactly that. If all this seems like too much hard work then we’d be happy to implement this Local SEO strategy for you, just request a free proposal.